Where on earth did February go? - To be honest with you, I'm not particularly sure where the start of 2018 has gone. It's certainly going to be one of those years that just fly past. Regardless, it is that time again where I share with you what I have been loving this past month. 1. 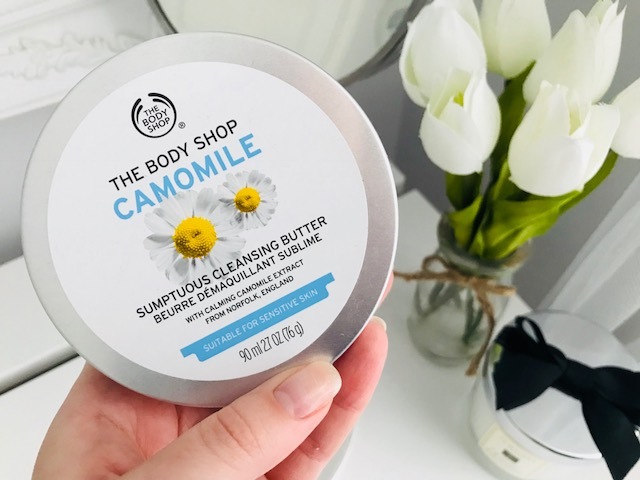 The Body Shop Camomile cleansing butter. This is absolutely incredible at getting every last scrap of make up off of your face! This includes for me over the last month, both waterproof mascara and eyeliner, cosmetic glitter and full coverage foundation. I will definitely be repurchasing this product and will continue to use it as part of my evening cleansing routine. 2. 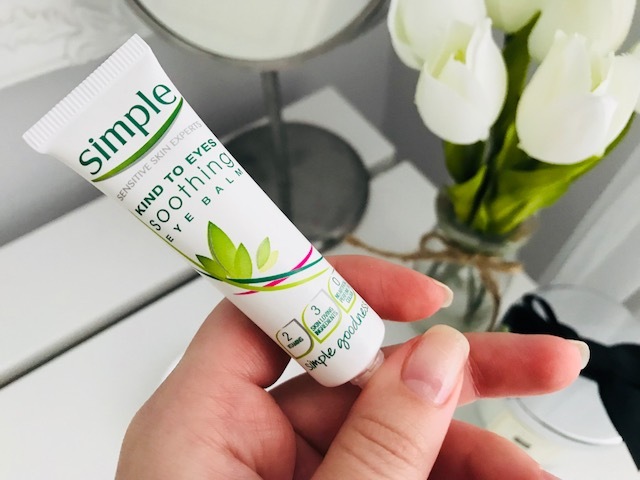 Simple Soothing Eye Balm. Again this is part of my evening cleansing routine and it completely works miracles for me! I genuinely notice the difference when I do and don't use it. The formulation is light and it sinks into the skin really well without leaving any residue. It provides the skin with much needed hydration and leaves my skin feeling soft and looking energised. 3. The Body Shop Shea Body Mist. The Shea scent at The Body Shop is one of my all time favourites, so how I have not discovered this product long before now I do not know. This is a new addition to my collection and I have so far used it every single day as it is perfect for just chucking in your bag and using throughout the day to add a boost of scent. The fragrance is super light and lovely, I just wish it lasted longer! 4. 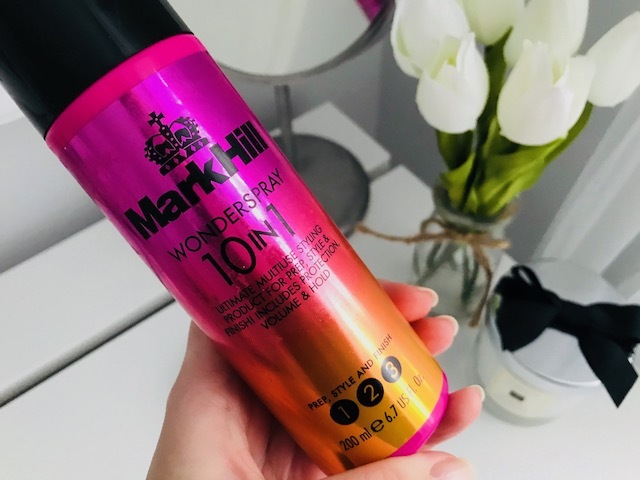 Mark Hill 10 in 1 Wonder Spray. I absolutely adore this stuff! It is quite literally a little miracle find. You name it, it does it. I predominantly use it as a finishing spray to secure any style, whether it is straight, waves, curls or an up do, but I also use it as a root spray before blow drying to add volume and hold! It smells incredible too, which is of course a great added bonus! 5. 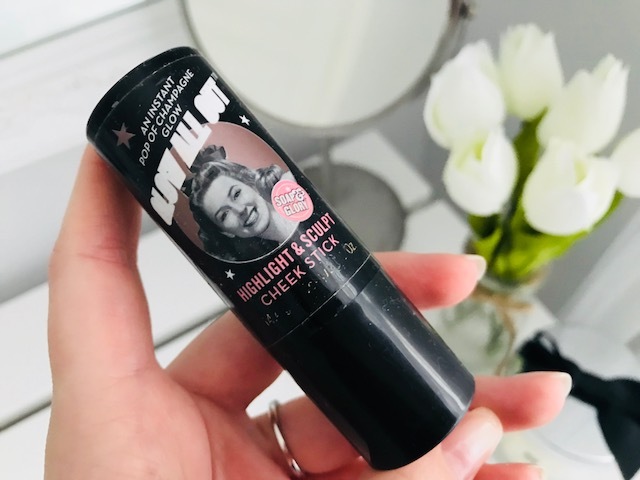 Soap and Glory Highlight and Sculpt Stick in Glow all Out. This has been my go to highlighter for the past couple of months, not just in February and I love it. 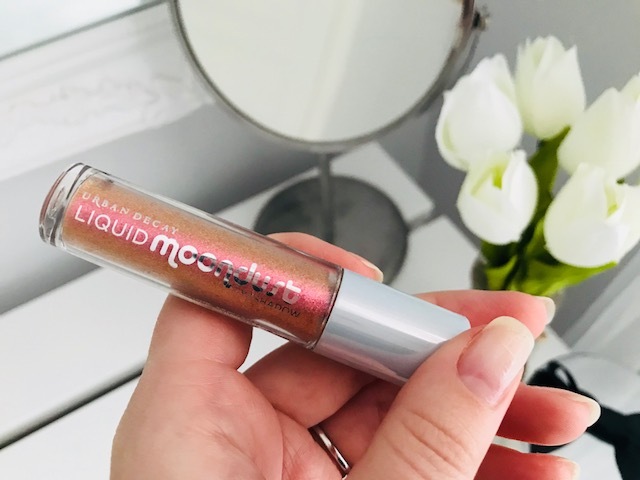 It gives you an incredible glow and lasts all night! I do not plan on replacing it with another product anytime soon, it will certainly take something extraordinary to top this for me. 6. Urban Decay Liquid Moondust in Solstice. This is an incredibly subtle way to add glitter to any look and I have used this for both daytime and evening looks with both having very different effects. You can use it all over the lid on top of shadow, as eyeliner or just in the tear ducts for extra highlight. I will certainly need to purchase some of the other colours to test out! Apart from (of course) still having The Greatest Showman soundtrack on repeat, some other songs I have been enjoying this month have been: *checks Spotify* Firstly, the rising superstar that is Dua Lipa and her IDGAF belter. Next is Fleur East's new song which I found awfully catchy. And next, a classic which was recently played on Magic radio and I couldn't get it out of my head for days! The Communards - Don't leave me this way! I can not recommend any higher the TV show Riverdale which is currently on Netflix. 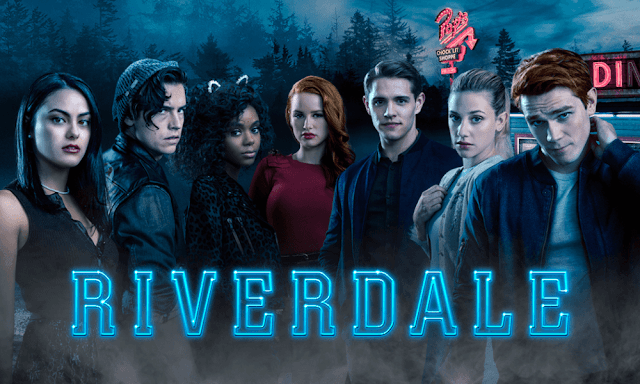 Myself and my partner have managed to watch every episode currently available in the space of less than a week. We were absolutely addicted and are now completed hooked! 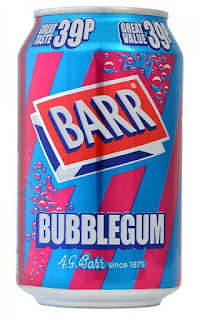 The second is the Barr Bubblegum Soda. I used to love this, especially when I was at University and i've recently re-discovered it and stocked up. They are incredibly low in calories and at the moment whilst on an almighty health kick, they are my go too if I need to have a little pick me up. I know drinking "soda" i.e "Fizzy Drinks" for us English folk, in any form aren't particularly good for you, but it's my little treat! The third and final find this month has again been because of my health kick. I spend a large quantity of my day (9-5) sat behind a desk and it can be quite difficult to keep your energy levels up. When it came to that mid afternoon slump and you need an energy boost, instead of me reaching for the office biscuit tin or running to Costa for a Skinny Caramel Latte, I have been picking up these Whitworths Shots, and they are incredible! At under 100 calories each they make the perfect pick me up and of all the different flavours I have tried, there has not yet been any that I disliked. They are my new addiction and I would highly recommend them! And that's that for another month! Your mind is a powerful thing. When you fill it with positive thoughts, your life will begin to change. March Blog-A-Thon LUSH cosmetics Giveaway! 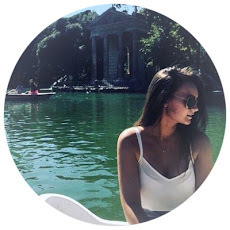 © Lilli of London. All rights reserved.